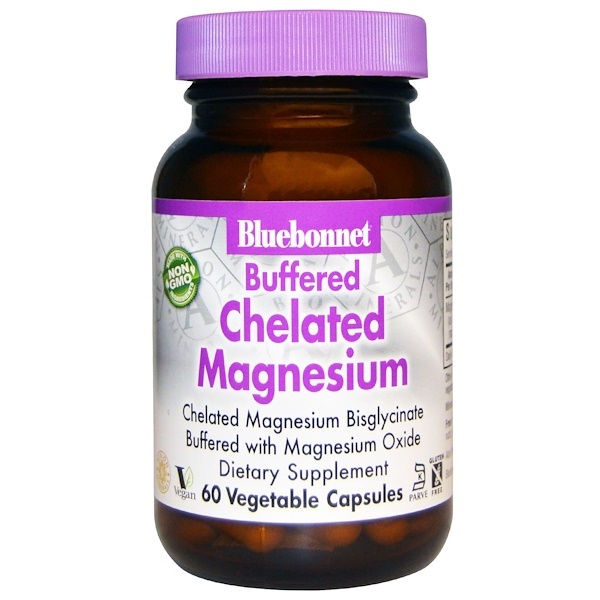 Bluebonnet's Buffered Chelated Magnesium Capsules provide magnesium bisglycinate chelate buffered with magnesium oxide to increase the pH (alkalinity) of the formula, making it more gentle on the digestive tract and easier to absorb. Available in easy-to-swallow vegetable capsules for maximum assimilation and absorption. 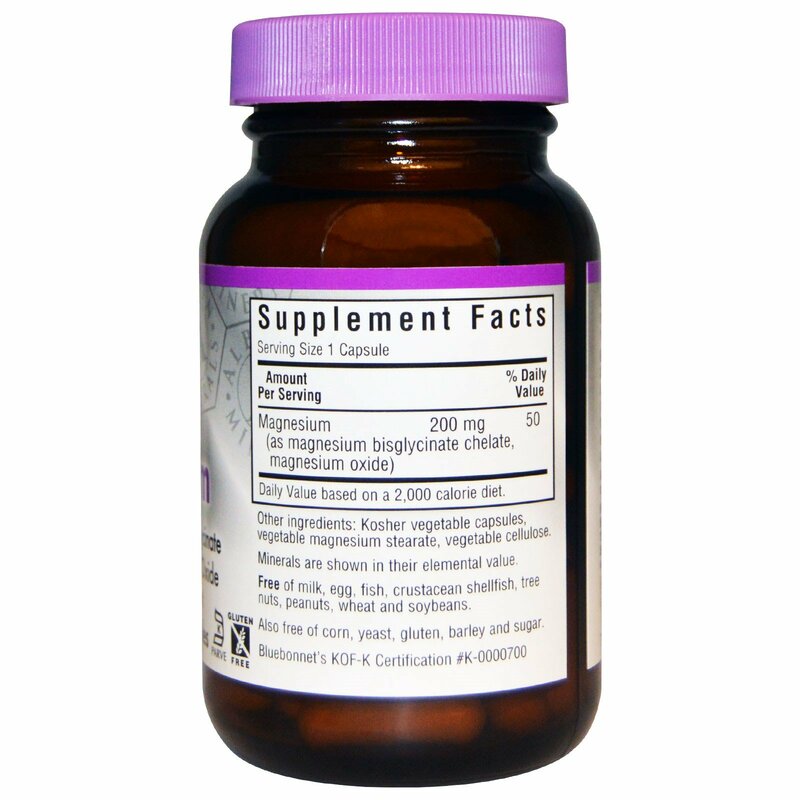 Kosher vegetable capsules, vegetable magnesium stearate, vegetable cellulose. Also free of corn, yeast, gluten, barley and sugar.